A very exceptional meeting occurred today, Thursday 23rd of November 2017, at the offices of “DIAZOMA”, with Ms. Daphne Martin and the President of “DIAZOMA”, Mr. Stavros Benos. Ms. Martin is a young and energetic Greek, hailing from Sparta, who has grown up in Washington D.C., always enamored with love for Greek cultural heritage. She is a third-year student at Yale University, studying Classics and History of Art. She is also the President of the Yale Hellenic Society, an organization of Greek and Greek-American students at her institution. The young scholar has set as a life-long goal the restoration of the ancient theatre of Sparta and for this reason, she reached out to “DIAZOMA” with the desire to offer her contribution in “assimilating ancient theatres into a new reality”. In the continuation of the very interesting and touching conversation that developed, it was decided that Ms. Daphne Martin would be named Ambassador of the ancient theatre of Sparta in the U.S.A., and also as a point of contact with the United States, both with respect to education and fundraising. We welcome Ms. Martin to the extensive “DIAZOMA” family and we wish her all the best with the remarkable task she has taken on. 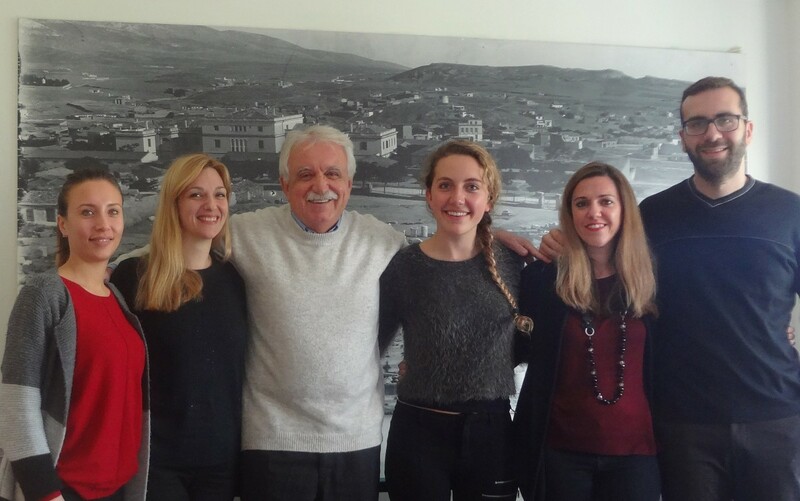 The President of “DIAZOMA”, Mr. Stavros Benos, with Ms. Daphne Martin and Diazoma's executives.